•	China has issued a stern warning to countries against interfering in Venezuela and imposing sanctions. •	The sovereignty and independence of Latin American countries should be respected. •	The internal affairs of every country should be decided by their own people and that external interference and sanctions will only exacerbate the tensions. •	China has repeatedly called for outsiders not to interfere in Venezuela’s internal affairs and has stuck by embattled President Nicolas Maduro. 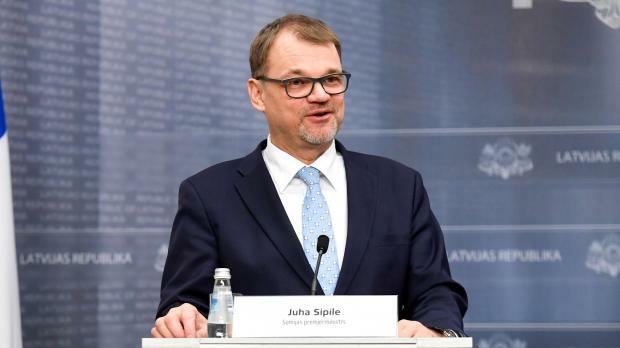 •	Finnish Prime Minister Juha Sipila`s centre-right government has resigned, just five weeks ahead of the Parliamentary election. •	The resignation came after the government failed to push through a flagship social and health care reform package. •	The three parties of the ruling coalition were unable to agree among themselves on the reform package. •	President Sauli Niinisto has accepted the government`s resignation and asked it to continue on a caretaker basis until a new government has been appointed. •	In Sri Lanka, government initiated a plan to have special dedicated women compartments in trains to mark International women`s day. •	The `Women Only` compartments aim at preventing the sexual harassment and hardship endured by women using public transport. •	The Ministry of Transport said in the first stage, these special compartments will be included in the trains running at office timings and in future it will be expanded to other trains as well. •	According to a study conducted by the United Nations Population Fund (UNFPA), 90 per cent of women and girls in Sri Lanka have endured sexual harassment at least once in their lifetime on public buses and trains. However, only four per cent of those affected reported the incident to the police. •	UNFPA together with Sri Lankan Ministry of Women and Child Affairs and the Ministry of Transport and Civil Aviation organised a public exhibition titled “Does She Travel Safe?” featuring real stories of women and girls who have faced sexual harassment in public transport. •	Thirty-six countries have signed an open letter criticising Saudi Arabia`s human rights record. •	The letter, read at a meeting of the United Nations Human Rights Council is the first collective rebuke of the kingdom. •	It urges Saudi Arabia to release human rights activists jailed for exercising their fundamental freedoms and to disclose all information available about the killing of journalist Jamal Khashoggi. •	It also called for the release of women rights defenders Loujain al-Hathloul, Hatoon al-Fassi and Samar Badawi and others jailed after campaigning for human rights in the country. •	The collective rebuke was signed by all countries in the European Union plus Australia, Canada, Norway, New Zealand, Liechtenstein, Monaco and Montenegro. 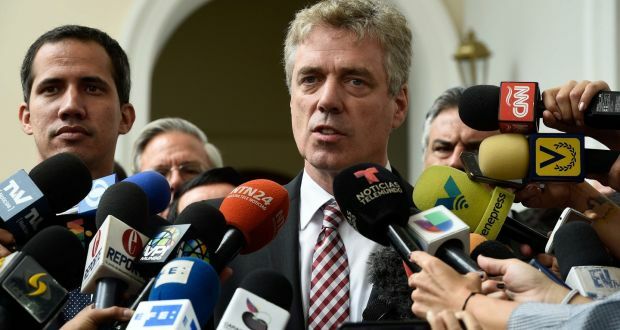 •	The Venezuelan government has announced to expel German ambassador Daniel Kriener from the country. •	President Nicolás Maduro’s embattled government declared the German ambassador persona non grata and ordered him to leave the country within 48 hours. •	According to an official statement, he was accused of recurrent acts of interference in internal affairs of Venezuela. •	Mr Kriener was among a group of diplomats who helped opposition leader Juan Guaidó return to Venezuela by meeting him at the airport. •	Meanwhile, UN Human Rights Chief said, sanctions have worsened Venezuela`s crippling economic and political crisis, as Washington warned it may expand measures targeting the Maduro government. UN Rights chief Michelle Bachelet said, sanctions had exacerbated the crisis but also slammed Maduro`s violations of civil and political rights. 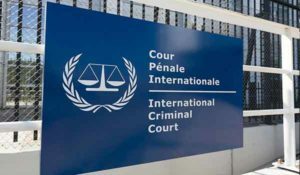 •	Malaysia became a member of the International Criminal Court (ICC), the world’s only permanent war crimes court which aims to prosecute the worst abuses when national courts are unable or unwilling. •	Malaysia is the 124th member of the court since its establishment in 2002. •	Its new government, which came to power in 2018, had vowed to join the ICC. 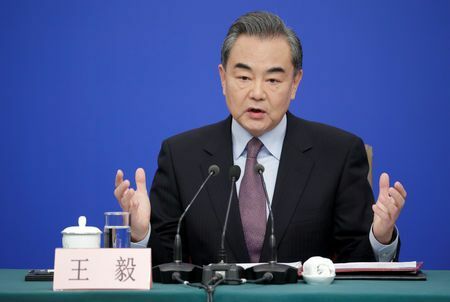 •	China protests the United States for criticising Beijing`s polices toward Muslim and Tibetan Buddhist minorities and saying the country was at war with faith. •	The Foreign Ministry`s office in Hong Kong said the speech of US ambassador Sam Brownback "slandered" China`s religious policies. •	The Ministry said it had registered its dissatisfaction with the US Consulate in the semi-autonomous Chinese region, where the speech was given. •	US officials and UN experts say China is believed to be holding one million Uighurs, Muslims and members of other majority Muslim ethnic groups in political education camps in Xinjiang. •	The US and other governments have criticized the crackdown. •	The Chinese government says those camps are vocational training centers designed to rid the region of extremism. •	An Ethiopian Airlines passenger jet has crashed on a flight from Addis Ababa to Nairobi, BBC reports. •	The airline says, the flight is believed to have had 149 passengers and eight crew members on board. The crash happened at 08.44 local time, shortly after take-off from the Ethiopian capital. •	Prime Minister Abiy Ahmed tweeted his deepest condolences to the families of those that have lost their loved ones. •	The Three Comma Club only has 2,153 members, but there are many ways the people who made the Forbes’ 2019 World’s Billionaires list built their wealth—from selling glass smartphone screens to Apple to growing a scaffolding empire. •	Among this year’s 195 newcomers, fortunes were made in tried-and-true industries like food and beverage as well as manufacturing. But a handful of new billionaires also capitalized on current trends. Perhaps the most of-the-moment (and controversial) way to get rich is by selling nicotine vaporizers, which is how James Monsees and Adam Bowen, the cofounders of Juul Labs, amassed their billion-dollar-plus fortunes. •	But the majority of the world’s billionaires did not vape their way to 10 digits. Most fortunes were made in the staid finance and investments industry. 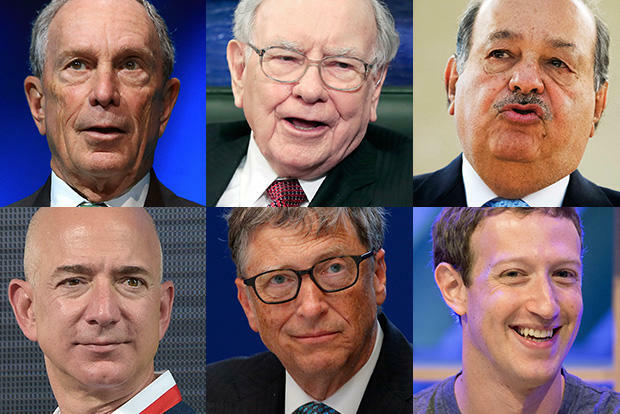 This year, 306 billionaires hail from this industry, which makes up 14% of the 2,153 total billionaires on the list. Notable finance and investing list members include Warren Buffett, the third richest person in the world and Robert Smith, the founder of private equity firm Vista Equity Partners. •	Despite the price of Bitcoin and other cryptocurrencies crashing over the past year, Brian Armstrong, the CEO and cofounder of cryptocurrency wallet Coinbase, became a billionaire this year. Last year finance and investments also ranked as the industry with the most billionaires, with 310 people. It turns out managing or investing other people’s money can make you rich. •	Another way people got rich was by selling clothing, makeup and everything in between. The fashion and retail industry has the second-most billionaires with 230 people, or 11% of the total. Alice, Jim and Rob Walton—heirs to the Walmart fortune—rank among the top 20 richest people in the world, along with Bernard Arnault of luxury goods purveyor LVMH, Zara creator Amancio Ortega, and L’Oreal heiress Francoise Bettencourt Meyers, who is also the richest woman in the world. Newcomers in fashion and retail include Luciano Hang, who is worth $2.2 billion thanks to his Havan department store chain in Brazil; Chen Tei-Fu, who runs herbal-products supplier and retailer Sunrider with his wife; and Dani Reiss, whose $1.3 billion fortune is tied to his trendy winter coat company Canada Goose. •	Richest Indian Mukesh Ambani jumped six positions to rank 13th on Forbes World`s Billionaire list. •	Amazon founder Bezos remains the world`s richest person, ahead of Bill Gates and Warren Buffett. •	Ambani saw wealth soar from $40.1 billion in 2018 when he was placed 19th richest in the world, to $50 billion to be rank at 13th in 2019. •	Wipro Chairman Azim Premji is ranked 36th with Technology major HCL`s co-founder Shiv Nadar, ranked 82nd in the list. •	The Director-General of the World Health Organization (WHO) visited an Ebola treatment centre in the Democratic Republic of the Congo (DRC) after it had been attacked by militants. •	UN health Chief Ghebreyesus toured the centre in the city of Butembo after the assault which was attacked last week also. •	While thanking personnel for their steadfast dedication, he called for protection of these centres amidst a deadly epidemic outbreak. •	The visit came as he concluded a three-day mission to the DRC, along with other WHO leadership and senior US officials who met with the president, government officials, partner organizations and local responders involved in the outbreak response. •	Australia and Singapore have joined the growing list of countries temporarily preventing the Boeing’s 737 MAX planes from flying into and out of their countries following two fatal crashes involving the aircraft. •	An Ethiopian Airlines Boeing Max 8 crashed, killing 157 people on board. It was the second fatal accident involving the model in less than five months. Last year in October, Indonesia Lion Air flight, crashed after takeoff from Jakarta, killing all 189 people on board. •	Several airlines and regulators around the world have already grounded the Max 8 model after the crash. •	China and Ethiopia decided to bar their entire Boeing 737 Max 8 fleet from national airspace. •	However, US aviation officials have said, the 737 Max 8 is airworthy and that it is too early to reach any conclusions or take any action. •	US Transportation Secretary Elaine Chao said, country`s Federal Aviation Administration would take immediate and appropriate action if a defect was found in the Max 8. •	Boeing has confirmed that for the past few months it has been developing a flight control software enhancement for the aircraft.